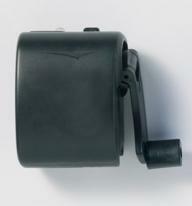 Modern egg shaped adapter allows you the ability to upload from or download to any other i-pod device. Size: 1 H x 1.75 W Imprint Area: 0.25 H x 0.75 W (top), 0.3 H x 0.75 W (side). Packaging: Gift Box Packing: 200/35 Carton: 16x8x13. In-car USB power adaptor charges USB devices (iPod, MP3 or MP4 player, BlackBerry, mobile phone, etc.). Production: Inquire for lead time. Size: 3/4" x 1 1/8" x 3 1/8". Imprint Area: 3/4"w x 1/2"h. Shipping: 6 lbs. per 100, individually packaged in gift box. Use the power of one AA battery to charge your cell phone in just a few hours when AC power is not available. 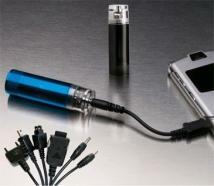 Emergency power for your cell phone powered by one AA battery. 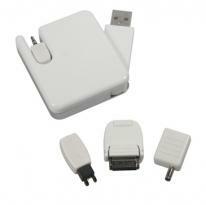 Includes four plugs for a variety of major cell phones and MP3 players, including iPod. Does not work on current iPhones. Material: Aluminum and plastic Size: 2-13/16"w x 3/4" dia. Imprint Size: Side (Standard): 1-3/8"w x 1/4"h. Packaging: Boxed Pack Of: 75 Weight: 19 lbs. 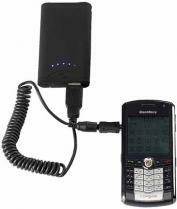 Emergency Mobile Phone Charger, for Nokia, Motorola, Samsung, Sony Ericsson. Powered by 2 AA batteries (not included) Battery @$0.15/pc x 2 pcs Product Dimensions: 3-1/8"H x 1-1/2"W Imprint Dimensions: 1/2"H x 1-3/4"W Extra color/position imprint add $55.00 set up, plus running charge of $0.80 per piece for quantities of first two pricing columns, $0.40 per piece for quantities of last two pricing columns. Gift box included. Units/Weight Per Carton: 200 pcs/34 lbs. 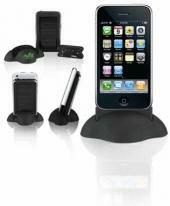 The 10-Piece Cell Phone Adapter Set allows your customers to re-charge most cell phones with our dynamo-powered lights. The adapter set is compatible with most phones made by the following brands: LG, Motorola, Nokia, Samsung, Siemens and Sony Ericsson. Available with items: 5595, 5588, 5599. Portable USB AC power converter with retractable prongs for travel. AC Plug Type A Male with Two Folding Flat Blades and USB Plug Type A Female. Input: 100-250 VAC, 50/60 Hz, Output: 5.0 VDC. USB Cable not included. MOQ : 50. Materials & Finish : High Impact Plastic. Always have power with you! The ultimate solution for emergency calls! Mobile phone charger generates power by manually rotating the handle. Comes with mutiple connectors for use with most types of mobile phones. Print Area: 1.18" x 1.18" Product Dimensions: 2.28" x 1.77" x 1.30" Packaging: White giftbox Packaging Dimensions: 5.31" x 3.35" x 1.38" Weight Product: .19lb Weight Product & Box: .34lb Compliance: CE, RoHS Charging Time: Approx. 3 minutes charging gives 2-8 minutes talk time. Battery: No batteries needed Accessories: 5 connectors and user manual Compatibility Overview: including connectors (5 pcs) Nokia: 3250, E50, 5500, 6080, E61, 6101, 6103, 6111, 6151, 6233, 6280, N70, N72, 7360, 7370, N76, N80, N800, N93i, N90, N91. Samsung: A300, A400, A800, C100, E300, E310, E600, E700, E710, N500, N620, P400, Q200, R210, S300, S500, V200, X100, X600. Sony Ericsson: D750i, J100i, J110i, J120i, J220i, J230i, K200i, K220i, K310i, K320i, K510i, K550i, K610i, K610im, K750i, K800i, K810i, M600i, P1, P990i, S500i, T2501, T650i, V630i, W200i, W300i, W550i, W580i, W610i, W660i, W700i, W710i, W800i, W810i, W850i, W880i, W900i, W950i, Z520i, Z530i, Z550i, Z610i, Z710i. Usb Mini: Suitable for e.g. Motorola phones, PDA's, Blackberry's. Usb Plug: Suitable for e.g. MP3 players and various other USB devices. LED Indicator Light Shows "On" When Charging. AA Battery Included. Charge provides aprox. 24 hours of standby time (Depending on Brand of Mobile Phone). 100 To 120 Minutes of Talk Time. 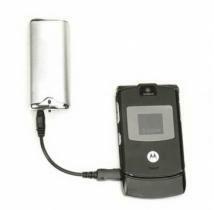 Includes adaptors for popular phone models: Nokia (41), Sony Ericsson (26), Samsung (22), and Motorola (8). Product Size (W x D): 0.75 x 2.06 Imprint Area: Front 3/8"h x 1"w. Packaging: White Gift Box Pieces Per Box: 100 Weight Per Piece: 0.22 lbs. Weight Per Box: 22 lbs. Case Dimensions (L x W x H): 18 x 14 x 12. Be prepared in an Emergency with this great safety program gift.. Mobile Phone & Music Player Charger. Heavy Duty Aluminum Body. LED Flashlight. 4 Popular Charger Connectors included. 1x AA Battery included. Size: 3 1/4L" x 3/4W" x 3/4H" Imprint: 1W" x 3/8H" Qty/Box: 60 ShipWeight: 22lbs. 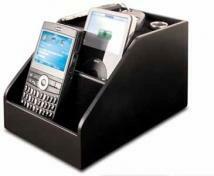 Cell Phone/MP3 Holder/Data Ports. 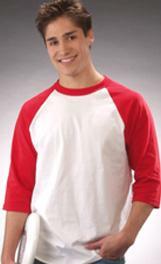 Size : 2 3/8" x 4" x 2 7/8" Imprint Area: 1 15/16" x 3/8" Max. Imprint Colors: 2 Packaging: Individually Boxed 50 = 21 lbs. A hand-cranked Dynamo flash light and cell phone charge. Designed with Ultra bright LED bulbs, it includes an emergency siren, compass, and a built-in USB charging port. Material: ABS Plastic Product Dimensions: 2"H x 4-5/8"W x 1-9/16"D Imprint Dimensions: 1/2"H x 1-1/4"W Packaging: Standard Box Units/Weight Per Carton: 48 pcs/24 lbs. 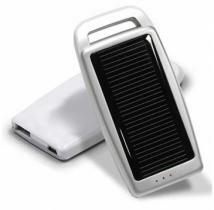 Multi-function solar emergency charger, Dual Power (USB/Solar) Use the free power of the sun to charge your mobile phone or other devices. Also includes an USB charging cable in case direct sunlight is not available. Capacity: 1300mAh Input: 350 Output: 5.5V/300mA Battery type: LIthium Polymer Charge time: about 2-3 hours (some different for different mobile phone) Idle discharge: <0.05mA Adaptor included: Motorola, Samsung, Old Nokia, New Nokia, LG. Material: Metal Product Dimensions: 3-5/8"H x 1-11/16"W x 7/16"D Imprint Dimensions: 1"H x 1"W Extra color/position imprint add $55.00 set up, plus running charge of $0.80 per piece for quantities of first two pricing columns, $0.40 per piece for quantities of last two pricing columns. Gift box included. Packaging: Gift box Units/Weight Per Carton: 36 pcs/24 lbs. 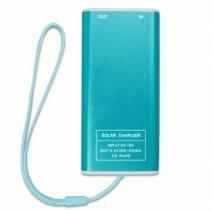 Use the free power of the sun to charge your mobile phone or other devices. Also includes an USB charging cable in case direct sunlight is not available. *Solar Panel: 5.5V/80mA *PC USB charging: 5V/500mA *Li-ion rechargeable battery: 3.7V/800mAh *Output voltage/current: 5.5V/500mA *Super long standby time, current consumption <150uA *Charging time: 1) Mobile phone charging through solar charger: 2-3 hours 2) Self-charging through solar panel: 10-12 hours (under full sunlight conditions) 3) Self-charging through PC USB port: 2-3 hours *Gauge display method: 3 LEDs *Protection: reverse current protection circuit integrated to prevent batteries from being discharged. 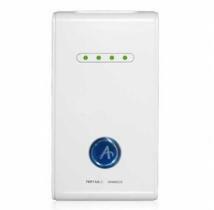 *Constant Volts: 4.2 Volts Adaptor included: AM-002 (Motorola, Blackberry), AM-020 (new Nokia), AM-044 (old Nokia, Blackberry), AM-045 (Samsung), AP-009. Material: plastic Product Dimensions: 4"H x 2"W x 1/2"D Imprint Dimensions: 2"H x 1-1/4"W Extra color/position imprint add $55.00 set up, plus running charge of $0.80 per piece for quantities of first two pricing columns, $0.40 per piece for quantities of last two pricing columns. Gift box included. Packaging: Gift Box Units/Weight Per Carton: 60 pcs/20 lbs. Capacity: 3.7V/1000mAh Input: Mini USB 5V/600mA Output: DC 5V/600mA Battery type: lithium-ion battery Charge time: around 3 hours Idle discharge: less than 200uA Adaptor included: AM-002 (Motorola, Blackberry), AM-020 (new Nokia), AM-044 (old Nokia, Blackberry), AM-045 (Samsung), AP-009. Material: Metal Product Dimensions: 3-1/2"H x 1-1/2"W x 1/4"D Imprint Dimensions: 1"H x 1"W Extra color/position imprint add $55.00 set up, plus running charge of $0.80 per piece for quantities of first two pricing columns, $0.40 per piece for quantities of last two pricing columns. Gift box included. Packaging: Gift box Units/Weight Per Carton: 55 pcs/25 lbs. Capacity: 3.7V/2000mAh Input: Mini USB 5V/600mA Output: USB 5V/600mA Battery type: lithium-ion battery Charge time: around 5 hours Idle discharge: less than 200uA Adaptor included: AM-002 (Motorola, Blackberry), AM-020 (new Nokia), AM-044 (old Nokia, Blackberry), AM-045 (Samsung), AP-009. Material: Metal Product Dimensions: 4"H x 2"W x 3/8"D Imprint Dimensions: 1-1/8"H x 1-1/8"W Extra color/position imprint add $55.00 set up, plus running charge of $0.80 per piece for quantities of first two pricing columns, $0.40 per piece for quantities of last two pricing columns. Gift box included. Packaging: Gift box Units/Weight Per Carton: 55 pcs/35 lbs. 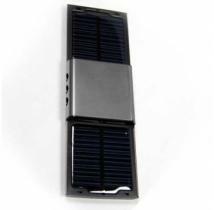 Foldable Dual Power (USB/Solar) Portable Battery Charger Use the free power of the sun to charge your mobile phone or other devices. Also includes an USB charging cable in case direct sunlight is not available. 1. Solar panel: 5.5V, 140mAh 2. USB Charging Cable: 5V 400mA 3. Built-in li-ion battery: 3.7V/1200mAh/Output Voltage: 6V, 300mAh 4. Charging time a) For the mobile phone: 2.5 - 3 hours b) Lithium battery (under full sunlight conditions): 10-12 hours c) Lithium battery: 3-4 hours (via USB charging cable) 5. Super long standby time, current consume<20uA Adaptor included: Samsung, Sony-ericsson, motorola, Nokia new Material: Man-made Leather/plastic Product Dimensions: 4"H x 2-9/16"W x 13/16"D Imprint Dimensions: 2"H x 1-1/2"W Extra color/position imprint add $55.00 set up, plus running charge of $0.80 per piece for quantities of first two pricing columns, $0.40 per piece for quantities of last two pricing columns. Gift box included. Packaging: Gift box Units/Weight Per Carton: 54 ps/25 lbs. Capacity: 2200mAh/8.1WH Input: Mini USB 5V/600mA Output: USB 5V/600mA Battery type: lithium-ion battery Charge time: around 5 hours Idle discharge: less than 200uA Adaptor included: AM-002 (Motorola, Blackberry), AM-020 (new Nokia), AM-044 (old Nokia, Blackberry), AM-045 (Samsung), AP-009. Material: Metal And Plastic Product Dimensions: 1-5/8"H x 3-1/8"W x 7/8"D Imprint Dimensions: 1/2"H x 1-1/2"W Finish/Trim: Black With Silver Trim Extra color/position imprint add $55.00 set up, plus running charge of $0.80 per piece for quantities of first two pricing columns, $0.40 per piece for quantities of last two pricing columns. Gift box included. Packaging: Deluxe gift box Units/Weight Per Carton: 25 pcs/22 lbs. 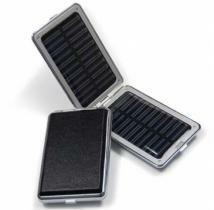 Detachable Solar panels: you can install one panel or two panels to charge the lithium battery; also, the battery can be taken out and used in other applications 1) Solar Panel: 5.5V/120mA 2) Output volt/current: 5.5V/500mA 3) USB charging Cable: 5V/500mA 4) Li-ion rechargeable Battery: 3.7V/1000mAh 5) Super long standby time, current consume<150uA 6) Charging times: a) Mobile phone: 1-2 hours, b) Lithium battery: 8-10 hours (under full sunlight conditions) c) Lithium battery: 3-4 hours (use USB charging cable) Adaptor included: Samsung, Sony-ericsson, motorola, Nokia new Material: Alluminium Alloy Product Dimensions: 4-7/8"H x 2-1/2"W x 11/16"D Imprint Dimensions: 1-1/2"H x 1-1/2"W Second position set up: $40.00, Second position runnning charge $7.00/pc. Repeat/Release charge $25.00/item, Copy change charge $25.00/item. Personalization charge: $7.00 up to 2 line. Color - fill charege: $5.00 per color/location/item. Gift box included. Packaging: Gift box Units/Weight Per Carton: 44 ps/24 lbs. 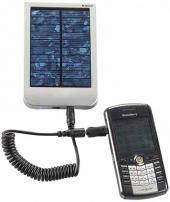 Solar panel iPhone or iPod Touch charger with stand. 5.5V/80mA 0.33W Built-in battery:1500mAh DC input: 5-6V DC output: 5.5v 300-500mA 500mA. Product Dimensions: 4'' L x 2.3'' W x 0.51'' H Imprint Dimensions: 1.25 ''H x 1.75'' W (top), 0.5'' H x 1 ''W (base). Packaging: Gift Box. Carton Dimensions:22''x13''x13'' Shipping Weight: 60/32 Note : Price includes 1 color/1 location imprint. 2 color logo: minimum 2nd column. 3+ color logo: minimum 3rd column. 4 Color Process: minimum end column . Other decoration methods are available for this item, please call for details. 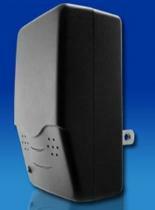 Creative slide sub-panel design expands the panel capability. 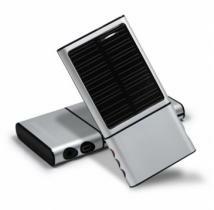 Use the free power of the sun to charge your mobile phone or other devices. Also includes an USB charging cable in case direct sunlight is not available. *Solar Panel: 5.5V/140mA *PC USB charging: 5V/500mA *Output voltage/current: 5.5V/500mA *Li-ion rechargeable battery: 3.7V/1100mAh *Super long standby time, current consumption <150uA *Charging time: 1) Mobile phone charging through solar charger: 2-3 hours 2) Self-charging through solar panel: 7-9 hours (under full sunlight conditions) 3) Self-charging through PC USB port: 3-4 hours *With charging and discharging indication lights *Protection: reverse current protection circuit integrated to prevent batteries from being discharged. 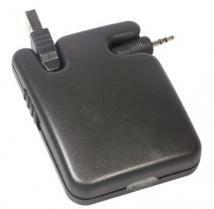 *Constant Volts: 4.2 Volts Adaptor included: AM-002 (Motorola, Blackberry), AM-020 (new Nokia), AM-044 (old Nokia, Blackberry), AM-045 (Samsung), AP-009. Material: Aluminum/Plastic Product Dimensions: 4-3/4"H x 2-1/2"W x 9/16"D Imprint Dimensions: 1-1/4"H x 1-1/2"W Extra color/position imprint add $55.00 set up, plus running charge of $0.80 per piece for quantities of first two pricing columns, $0.40 per piece for quantities of last two pricing columns. Gift box included. Packaging: Gift Box Units/Weight Per Carton: 50 pcs/26 lbs. Leather travel case protects and recharges an iPhone or iPod Touch, providing up to 8 hours of additional talk time, up to 15 hours of video, or up to 72 hours of music. Portable and rechargeable, it also includes a mini 5-pin USB cable. Battery life will vary depending on model. Product Dimensions: 5.25 ''L x 2.25'' W x 0.75'' H Imprint Dimensions:3.5'' H x 1.5 ''W. Packaging: Gift Box. Carton Dimensions : 23''x10''x13'' Shipping Weight: 25/18 Note : Price includes 1 color/1 location. 2 color logo: 2nd column minimum. 3+ colors: 3rd column. 4 Color Process: end column minimum . Other decoration methods are available for this item, please call for details. Charges cell phones, MP3/4 player. Included are all necessary cords and adaptors for most popular cell phones. 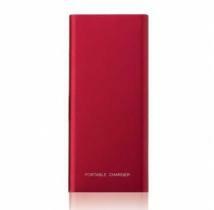 Capacity: 4000 mAh/14.8WH Input: Mini USB 5V/900mA Output: USB 5V/800mA Battery type: lithium-ion battery Charge time: around 6 hours Idle discharge: less than 200uA Adaptor included: AM-002 (Motorola, Blackberry), AM-020 (new Nokia), AM-044 (old Nokia, Blackberry), AM-045 (Samsung), AP-009. Material: Plastic Product Dimensions: 4-1/4"H x 2-3/8"W x 3/4"D Imprint Dimensions: 1"H x 1-1/2"W Extra color/position imprint add $55.00 set up, plus running charge of $0.80 per piece for quantities of first two pricing columns, $0.40 per piece for quantities of last two pricing columns. Gift box included. Packaging: Deluxe Gift Box Units/Weight Per Carton: 25 pcs/24 lbs. Stay fully charged ... Keep all your devices charged with this great new desk gadget. Just connect, insert and charge. Print: 5.90" x 1.57" Product Dimensions: 1.97" x 8.48" x 3.54" Packaging: Gifbox Packaging Dimensions: 10.24" x 4.92" x 3.74" Weight Product: 0.58 lbs Weight Product & Box: 1.41 lbs Compliance: CE, FCC Features: charge simultaneously three electronic devices with their connectors. Includes connectors for various types of devices. Outputs: input 110/220V/ output 12V - 1.5A Power Supply: input 110/220V/ output 12V - 1.5A Connectors: Nintendo DS Lite, PSP Sony, LG KG800 Chocolate, Motorola V3, mini USB, Sony Ericsson K750, Sony Ericsson T28, Samsung E900, Samsung D500, Samsung G800, Nokia 2, Nokia 1, Micro USB Luna. Accessories: Instruction manual, connectors, power adapter.